There is still the big unanswered question that has always begged an answer. Why creation and why were we created against our will? Why did He do it? The scriptures refer to God’s creation as His lila or play, a delusive deceptive appearance for the entertainment of man with the interaction of his creator. Eastern scriptures say “I was One; I wanted to be many.” The people say “Why did He that wanted to be many cause so much misery and sorrow.” Most of the theological answers do not convince the rational mind. It is common knowledge that God often spoke to Paramahansa Yogananda. Yogananda was explaining in his lecture in 1946 at the San Diego Temple in California that perfection can never be found in this world. If perfection existed here in this world no one would ever want to leave it of their own accord and go back to God. As you clearly see all the imperfection in this world, you will start to see all the perfection in God and seek only Him. What does this really mean? It means misery is not your enemy but your best friend because it leads you to seek God. This means God is using evil not to hurt us but to make us disenchanted with the playthings of this world. This is the reason God permits evil and injustices on this earth. The test of the Lord is to know “evil,” to see if we will choose His gifts or Him. Most don’t want evil but it being palatable like poisoned honey it makes temptation hard to resist. This is a funny world but the consequences of our incorrect actions aren’t very funny! This is why I scold and quarrel with Him. Why have You made these terrible temptations so pleasurable? Well, this is God’s trick. You deserve to suffer if you’re going to act like an idiot. Once you have obtained the freedom of God, suffering will have a different meaning to you. But first obtain that freedom. Learn to live and work without attachment and desire and without being caught up in all the evil that will come your way. From the teachings of Paramahansa Yogananda. Well, what if everything about God and creation had been told to you by the saints and masters, would you make the necessary effort to learn and know about Him? The masters are asked these very questions; you may be surprised by their answers. The truest, most accurate and courageous answer ever offered are “we do not know” it is not maya (cosmic illusion) but a divinely supernatural mystery which is the goal of enlightenment to understand. This is way beyond the intellectual comprehension of the human mind. It is told of the illumined one’s who have said when coming out of ecstasy “there are no words to tell.” The narrow human intelligence can little grasp the Cosmic Reality and in no way fathom the why of creation. Our material consciousness cannot comprehend the Universal Consciousness within itself, it makes no difference how desirous it is to do so. No matter how hard life is to understand, life is an anomaly. There is The Book of Life where we can look at it in three different ways. The first way is also broken down in three stages of development. Number one is developing the physical. The second is developing the intellectual. The third is focusing on the spiritual goals of life, which has two approaches. There is the Western and Eastern approach to development. The Western way is pumping the volumes of books and ideas into the mind. The Eastern way is by increasing the intuitive ability to perceive truth and knowledge. The second way of looking at the book of life is the way the eastern scriptures say “time is a book.” Unfortunately the pages in the book are being turned for us, we can’t turn them ourselves. Past, present, and future are all existing simultaneously and wherever the book is open for you that is where you are now where past, present and future are being enacted in one entire colossal screen which is finite and floating in the absolute. We are all floating and it is God’s ideas floating in a beam of light. The third way of looking at the book of life is like a novel. Full of chapters of laughter, excitement and weeping, but still read with too many unanswered questions until the very last chapter where all the mysteries, unknown secrets and conundrums are solved by the Master Novelist. Sadly the full meaning of His composition will not be comprehended by those who have yet to become one with the Master Novelist who are able to read His thoughts in-between the heavenly written lines. There are things sincerely worthwhile and beautiful in existence but is usually hidden away in the caves of concealment. Often astonishing spiritual treasures and the rarest of gems have to be dug up with the shovel of wisdom and understanding. 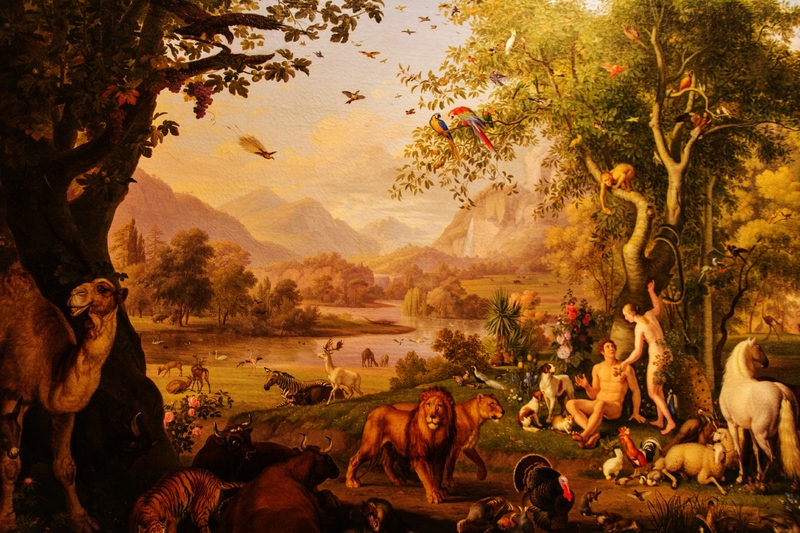 Biblical records embodied in the scriptures of Genesis explains the truthful start of creation. Yet the scientific and spiritual importance of these passages stays concealed from the mainstream of people for they are unable to interpret or perceive the truth. There is yet a fourth and fifth book, the unmentioned Book of Nature and the Book of Man. To be in nonstop contact with our Creator is to have a direct connection with all understanding and wisdom. We were sent here to learn from our history to study the Book of Nature and the history of life itself. There are many pages about how all life started below the valleys and seas, pages of the history of our planet about the strata of this earth and our development. There is the history of the galaxies and the heavens and lastly humanity. We are all meant to read the Book of Nature being taught by the Self- Realization Fellowship Gurus and for those stark souls who want to stop dragging their feet and get on the spiritual path to becoming self-realized. The average lifetime is not long enough to investigate and study all the various types of knowledge in the world. The masters of India say it would take millions of years, but recognized it achievable to absorb wisdom from the never-ending “Book of Knowledge” or the universal consciousness of God. By learning the intuitive way of study it would be possible to assimilate in days knowledge that would normally take years. These secrets and hidden truths are freely given by the true six Self-Realization Fellowship Gurus.